If your in to field artillery weapons from the 1800's and earlier, and would like to further your knowledge on the subject, then I recommend you add these three books to your library. Two of them are out of print, although they can still be found if you look on Amazon. The first book is...'Round Shot and Rammers' by Harold L. Peterson. The second book is....'Artillery and Ammunition of the Civil War' by Warren Ripley. 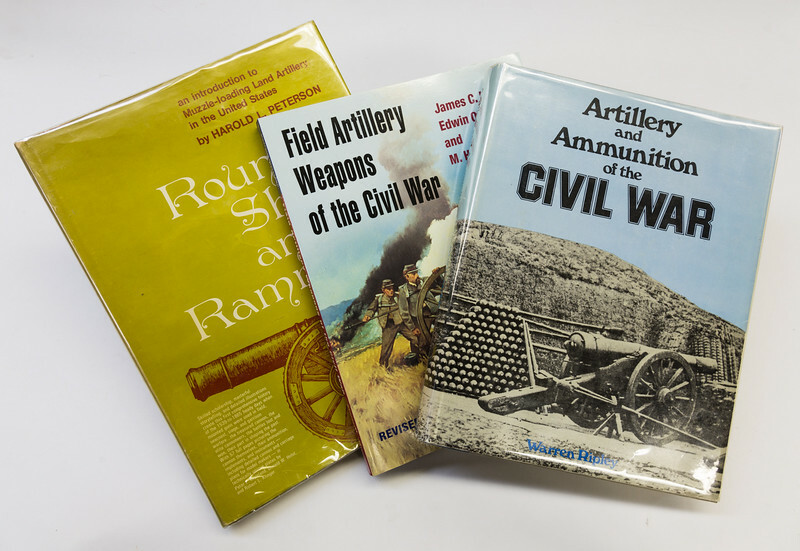 The third book 'Field Artillery Weapons of the Civil War' by James C. Hazelett, Edwin Olmstead, and M. Hume Parks is still available as a new revised publication. These three books are important to anyone that needs to do research on the subject of Artillery starting with the beginning of the Industrial Revolution, when anything and everything was tried in the manufacture and use of cannon. I reach for one of these books on a regular bases, and would be lost without them in my library. "Round Shot and Rammers' in particular has wonderful illustrations with dimensions that make it easy for one to build scale models with the information provided.